No one was hurt and it's unknown how the fire began. Investigators reviewed video from the Smart and Final grocery store across the street to determine who had been around. The street was closed off for a block as the fire crews battled the flames and mopped up. Investigators are trying to determine the cause of a blaze which damaged two homes in Ventura County. The fire was discovered at around 3:30 yesterday afternoon on the 700 block of Paige Lane in Thousand Oaks. The fire started in one home, and spread to one next store before firefighters could stop it. KCLU's John Palminteri reports on the rescue of two dogs from a house fire in Santa Barbara. 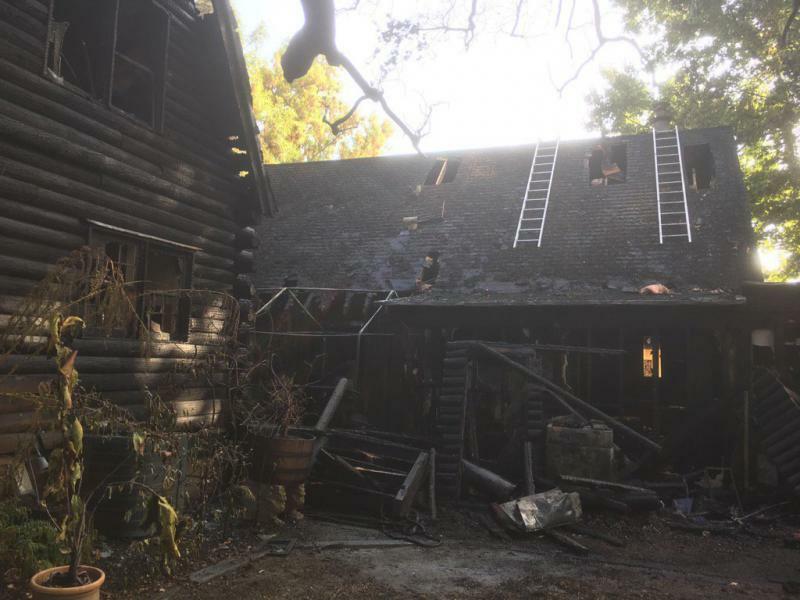 A fire near Carpinteria Tuesday morning damaged a home, while two dogs on the property were rescued. The home near Toro Canyon was empty at the time, when housekeepers found the fire and called 911. KCLU's John Palminteri reports on a condominium fire on the South Coast that caused a massive fire response. Fire crews stopped a condo fire in Carpinteria Wednesday morning as it was starting to get into the walls, attic, and possibly several of the adjacent units. The crews on-scene said that over eight units were threatened, and smoke was coming out of the upper story when they arrived on Palmetto Way.